American think-tank, the Cato Institute, recently published a warning of the possible effects that expropriating privately-owned farmland may have on South Africa. In the post published in August, the institute’s Marian L. Tupy said that eighteen years ago Zimbabwe embraced a similar policy. “As a consequence, South Africa’s northern neighbour’s economy collapsed and the country descended into penury and political violence,” he said. In a follow-up analysis, Tupy and fellow researcher, Alexander C. R. Hammond, outlined exactly why Mugabe’s land reforms were so disastrous, and what awaits South Africa if it makes the same mistakes. 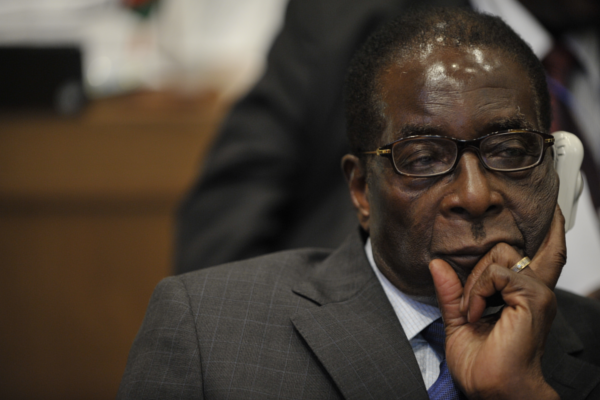 “In the early 2000s, Zimbabwe’s former dictator Robert Mugabe gave the green light to his paramilitary supporters to invade commercial farms, seizing some 23 million acres of land,” Tupy said. Tupy added that most of the new would-be farmers had no real knowledge of commercial agriculture and many soon returned to subsistence farming. Tupy highlighted that this lead to devastating food shortages in a nation once dubbed the ‘breadbasket’ of Africa. Tupy said that the farm seizures sent destructive ripples throughout the economy. “Food processing companies and agricultural exporters shut up shop. Some 700 companies closed by the end of 2001 as industrial production declined by 10.5 per cent in 2001 and an estimated 17.5% in 2002. Banks – which had previously used land titles as collateral when extending credit to farmers – were suddenly saddled with a lot of bad debt, Tupy said. He noted that the financial system froze and dozens of institutions collapsed. To meet its obligations to domestic and foreign creditors, the government ordered the Reserve Bank of Zimbabwe to print more money, sparking the first hyperinflation of the 21st century. Tupy said that the socio-economic consequences of land expropriation were extensive, and Zimbabwe experienced a truly miserable decade between 1998 and 2008. During that time, its economy contracted at an annual rate of -6.09% and per capita income fell from $1,640 a year to just $661. “The contraction meant that by 2007 eight in ten Zimbabweans had no formal employment,” he said. “The following year, Zimbabwe’s GDP per capita collapsed to a level last seen in 1952. The cholera outbreak of 2008 that afflicted thousands of people merely confirmed the obvious: Zimbabwe was a failed state.